Let’s just all get on the same page for a minute. I’ve written this article to show you some email marketing data that you probably haven’t seen yet. There are a few studies that have come out recently that contain some shocking data. The problem is, this glistening data is buried underneath mounds of other repetitive metrics in abstruse whitepapers and fenced behind really long opt-in forms. Many of the studies I see look like this. Is this fascinating or what? Yet clustered in those lines of data are some marketing gems that we need to know about. I’m just bringing it out in the open. Why? Because if you grasp this information, I think it will actually change the way you do email marketing. Here’s what you need to know, backed by the studies. 1. Just focus on your subject line. Everything else pales in comparison. Whenever you think of email marketing, you should automatically think subject line. 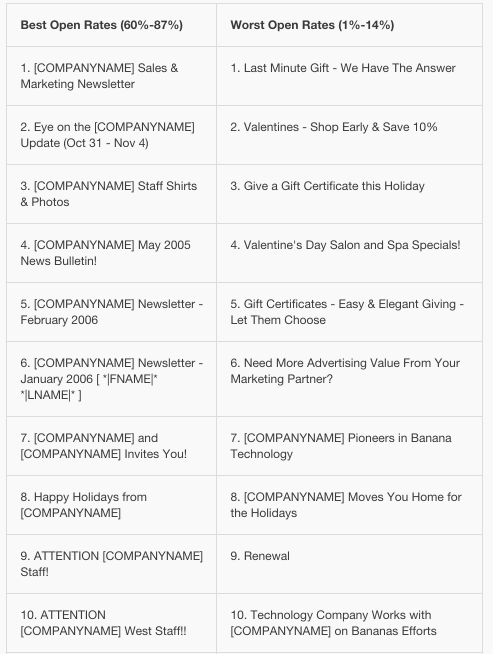 In order to make email marketing successful, you must make your subject lines better. Email marketing is only as successful as your subject lines. Experian conducted an email marketing study in late 2013, just in time for the holiday season. The study explored nine different verticals and thousands of responses on a medley of email marketing topics. 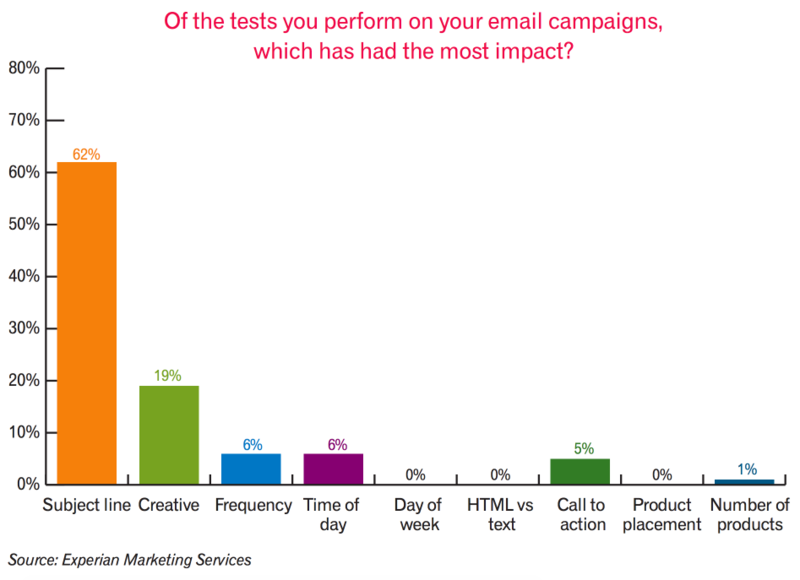 They discovered that a full 94% of brands carry out testing on their email campaigns. Good so far. Even better, these brands carried out more types of tests in 2013 than ever before. 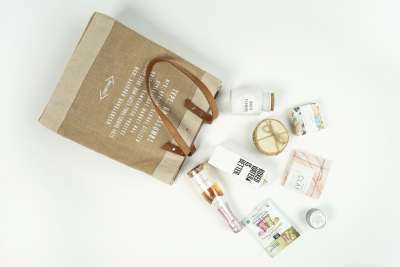 Types of tests they conducted included creativity, frequency, time of day, day of week, HTML vs. text, CTA, product placement, and numbers of products. What test subject had the biggest impact? Testing is great, but testing subject lines has the most explosive impact, a whopping 226% higher than the next closest testing topic. I’m a huge advocate of testing. Here is the proof as to how successful it really is. Let me give you a personal example. 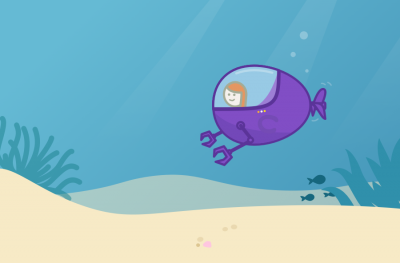 I tested email subject lines for Quick Sprout marketing emails. In a series of five tests, I was able to get a 203% increase in my open rates. The moral of the story is to test your email subject lines. Get ready to enjoy that huge uptick in open rates. 2. If you want clickthroughs, then use less content in your email for each link. Have you ever wondered how to get more clickthroughs in your emails? Getting better open rates is absolutely critical to a successful email marketing campaign. Reducing the amount of content relative to links is one way to increase engagement and clickthroughs. This data comes from Mailchimp, the consummate cruncher of all things email marketing data. 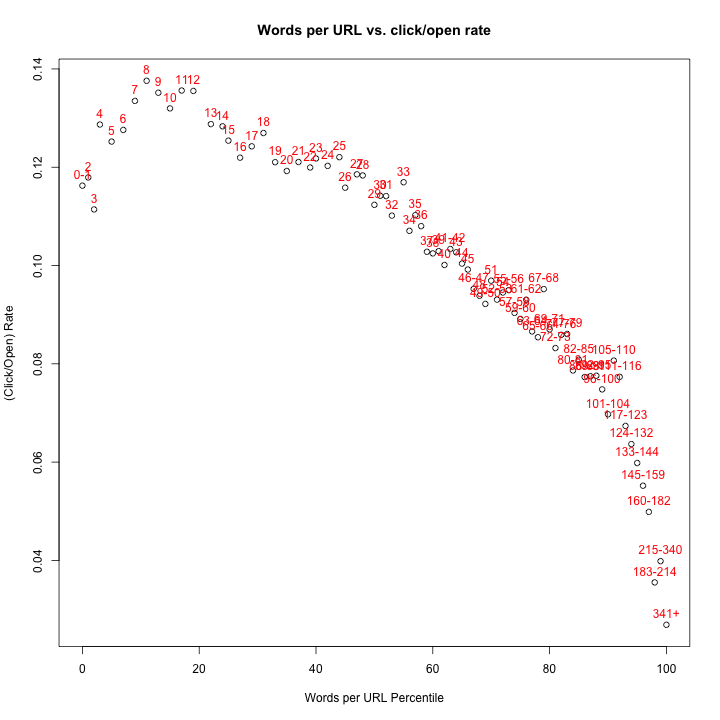 As part of their analysis of a gazillion emails, they studied the ratio of words per URL vs. click/open rate, and discovered a fascinating little downward curvy line. In case those numbers create gaze glaze, let me spell it out. 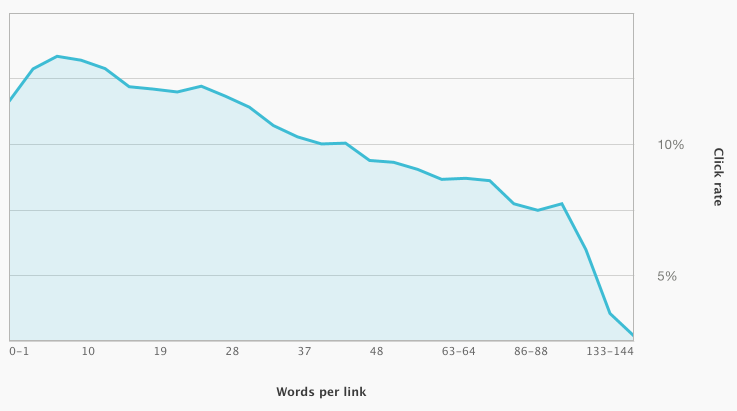 According to the data, using 8-12 words per URL is the ideal spot for enhancing clickthroughs. The average English sentence has 14.3 words, and the highest URL CTRs take place around 12 words. 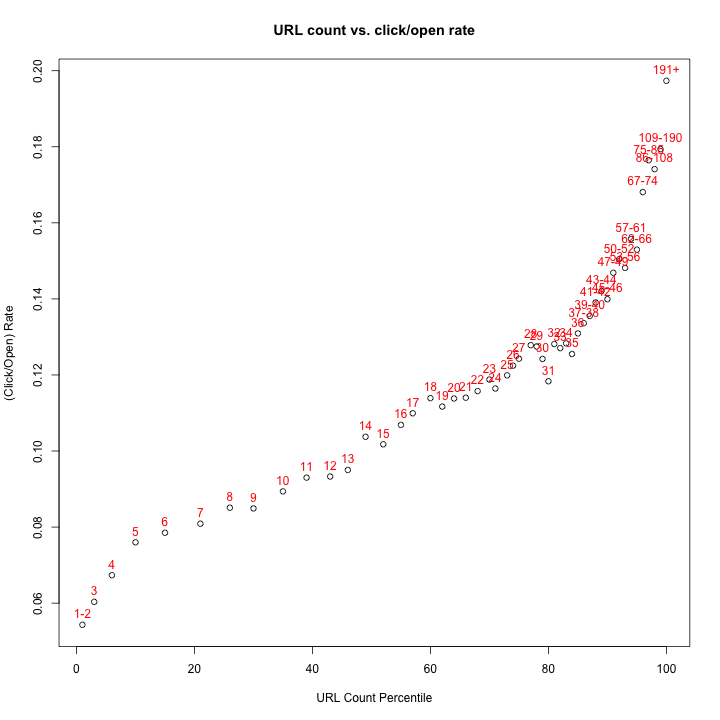 Simple take away: One sentence per link is the best ratio for your URLs. But how many links should you have? It really doesn’t matter, as long as you get the ratio right. When URL count is graphed against the open rate, we see an uphill trend. Readers can engage with the links that they want to, and they are more likely to do so when the content is paired with 8-12 words. 3. Transactional emails get more eyeballs. This is an opportunity. Want to know what kind of emails really get opened the most? It’s transactional emails. Check it. Transactional emails have a median open rate of 38%, compared with 17% of overall emails and 17% of nontransactional emails. This data comes from Silverpop’s 2014 Email Marketing Metrics Benchmark Study. 38% is a very high open rate, no matter who you are. A transactional email is one that is sent to a user automatically based on something that the user does. Please note that “transactional” emails aren’t exactly the same as “automated” marketing emails. Sure, they’re automated, but not in the denotative sense of automated marketing. They are, rather, personal emails prompted by the user’s behavior. Transactional emails are actually kind of boring if you think about it. I mean, how often have you re-read or printed and framed a “password change confirmation” email? But these emails are the most-opened type of email of all time. This data is important, because it suggest an opportunity. 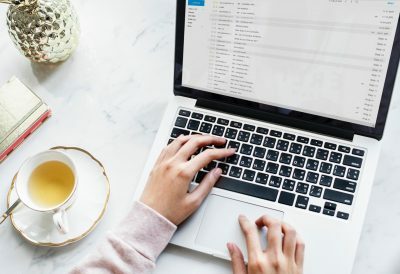 If your transactional emails are the most-opened emails of all time, then you can use these emails for extra marketing spin, and maybe another CTA or two. 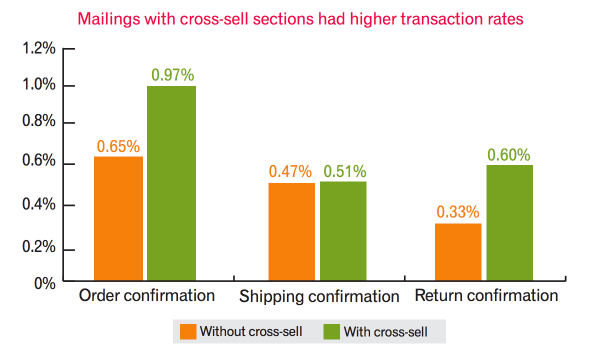 For emails, that included order confirmations, shipping confirmations, and return confirmations, marketers were able to snag additional sales. 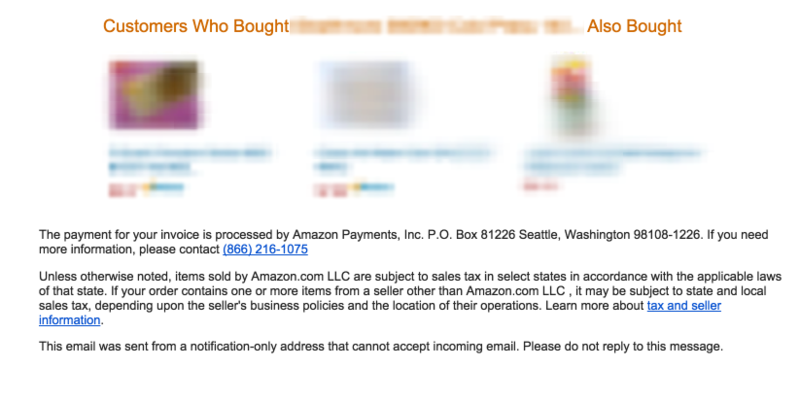 Look at this email I got from Amazon that confirmed my order. And that email included a pitch to buy even more stuff. Amazon knows what they’re doing. This was a transactional email. Yes, I opened it because I wanted to know that my order was confirmed. And, yes, I was tempted to buy even more stuff. Use your transactional emails as a marketing opportunity. In your subject line, be straightforward and explicit about who you are. 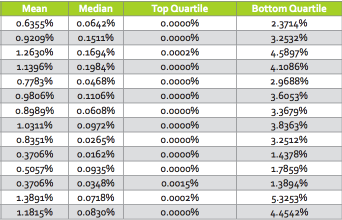 Mailchimp’s Subject Line Comparison study has some eye-opening information. 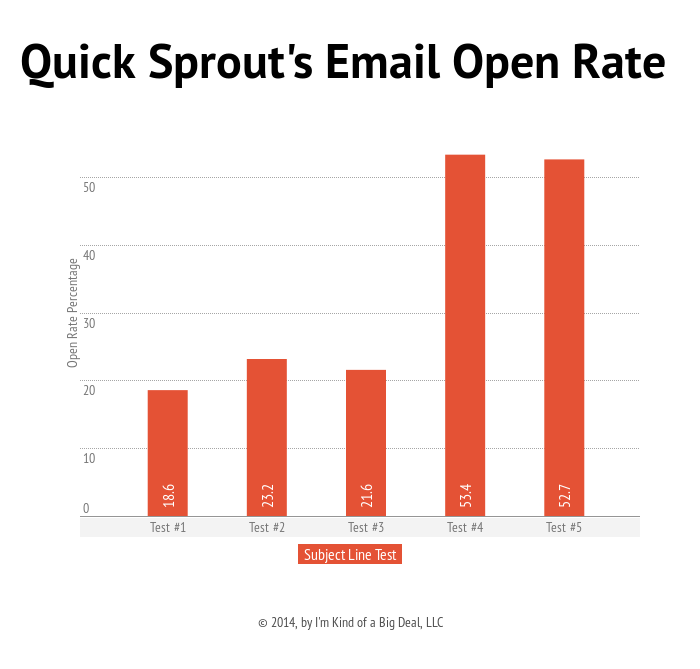 They lined up emails with the best open rates and compared them with the worst open rates. The subject line states the company name. The subject line describes the subject of the email. The subject line is very clear, not cute. 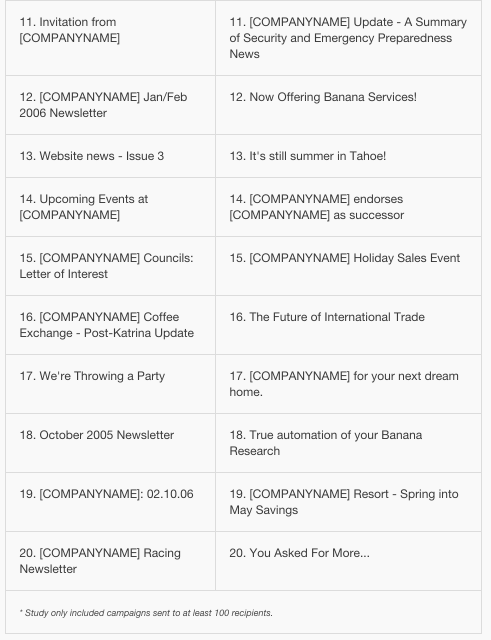 Here the list of 20 subject lines that made the winner/loser list. Like my number-one assertion above, subject lines are important. More to the point, get those subject lines streamlined according to these open rate best practices. A clear identity and subject is crucial to creating an email open rate that gets results. It often pays to look at the metrics. If you can see past the mind-numbing spreadsheets with lots of zeros and percentage symbols, I think you’ll see some valuable stuff. What are you going to change in your email marketing?